In an extremely significant ruling, a Florida Circuit Judge today dismissed a residential foreclosure Complaint filed by the Bank of New York as trustee for a securitized mortgage loan trust for failure to comply with the Supreme Court of Florida Order amending the Rules of Civil Procedure to require that all residential mortgage foreclosure Complaints be verified and as the Plaintiff also failed to properly allege the chain of title from the original lender to the foreclosing Plaintiff as required by recent Florida case law. The Supreme Court of Florida rule amendment and the recent case law requiring proof of chain of title in order to be able to foreclose were both previously reported on this website. The original lender was Taylor Bean & Whitaker, which failed and was taken over by the government for fraudulent lending practices. There was no assignment or other evidence showing how the loan went from TBW to the Bank of New York. The Complaint was filed on February 12, 2010, the day after the effective date of the Supreme Court Order requiring verification of all residential foreclosure Complaints. 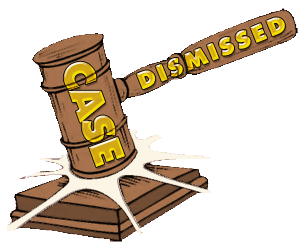 The ruling is extremely significant, as it ratifies the effect of the Supreme Court Order requiring that ALL residential mortgage foreclosure complaints filed in Florida after February 11, 2010 be verified and that such Complaints also allege the proper chain of title of the note and mortgage from the original lender to the foreclosing Plaintiff, and that if the Complaint does not do both, the Complaint is subject to dismissal. The borrower is represented by Jeff Barnes, Esq., who filed the Motion to Dismiss and argued the matter at a hearing this morning.